Objects with “negative mass” react to the application of force in exactly the opposite way from what you would expect. 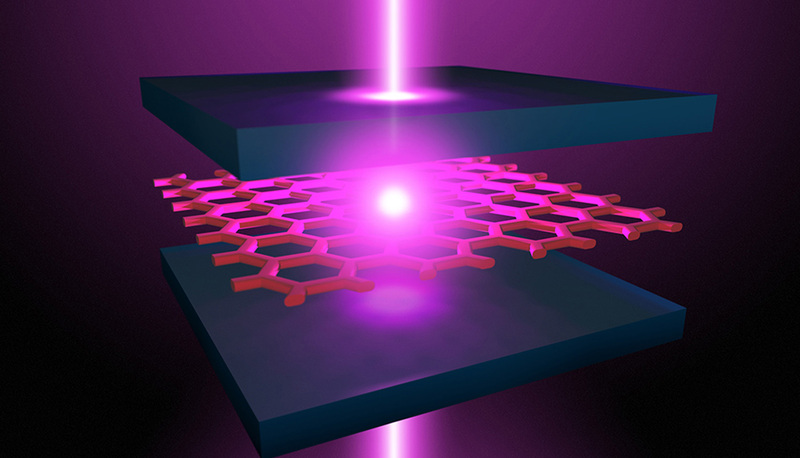 Researchers have created particles with negative mass in an atomically thin semiconductor, by causing it to interact with confined light in an optical microcavity. The device, described in Nature Physics, consists of two mirrors that create an optical microcavity, which confines light at different colors of the spectrum depending on the spacing of the mirrors. Researchers in Vamivakas’ lab, including co-lead authors Sajal Dhara (now with the Indian Institute of Technology) and PhD student Chitraleema Chakraborty, embedded an atomically thin molybdenum diselenide semiconductor in the microcavity. The semiconductor was placed in such a way that its interaction with the confined light resulted in small particles from the semiconductor—called excitons—combining with photons from the confined light to form polaritons. How the device might serve as a substrate for producing lasers. “With the polaritons we’ve created with this device, the prescription for getting a laser to operate is completely different,” Vamivakas says. “The system starts lasing at a much lower energy input” than traditional lasers now in use. The Air Force Research Laboratory funded this work.